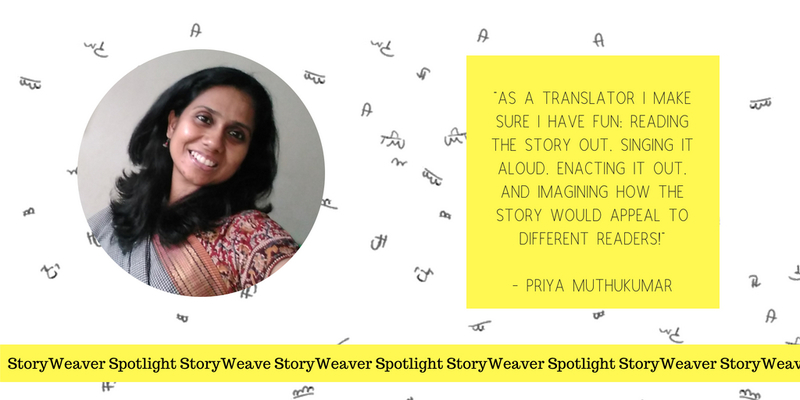 StoryWeaver Spotlight aims to shine the light on members of the wonderful community of translators who help bring stories alive in new languages through their translation efforts. This week, we turn the spotlight on Sarita Sharan. 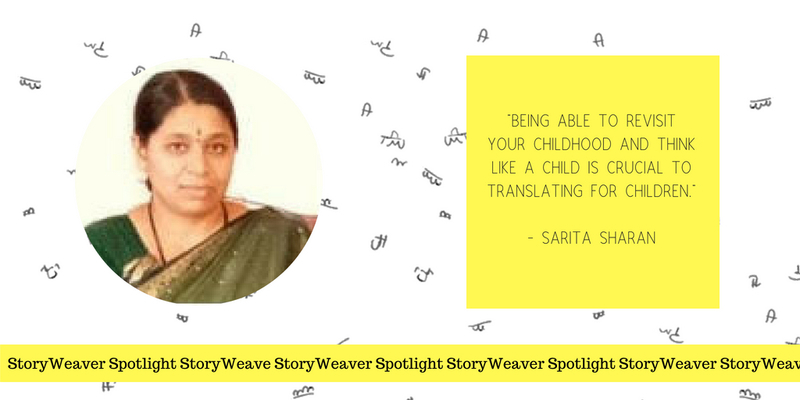 Sarita is a passionate teacher, who uses stories to pass on information in a fun way to her students and her two kids. She works at a primary school in Badami Taluk, Bagalakot district. She often visits underserved communities and strives to convince drop-outs to continue schooling. Science, English and Maths are her favorite subjects. She has translated 11 books to Kannada for Pratham Books including Whpopee Hyperloop, Neelumbera on a Full Moon Night and Anna's Extraordinary Experiments with Weather. A: Someone who works closely with children: teachers and storytellers, for example. A: If you can revisit your childhood and think and narrate like a child you are almost half way towards becoming a translator. I don’t see any set rules for this, it really depends on each piece of work and the way you want to communicate. For me, reading updated STEM curriculum, boosts my efficiency. Q: What is your personal relationship to language and/or translation? A: It is just like the relationship between a student and a teacher. A language is so rich, so versatile, so essential to communication. I think the highlight of translated stories is that they bring diversity, and introduce readers to different cultures and places. Kids really just enjoy the variety. Q: You’ve translated stories for us. Which has been your favourite to work on? I liked Neelambara on a Full Moon Night, Sailing Ships and Sinking Spoons, Who Made Tomato Chutney and the Annamani story. They were were my favourites. I really liked the concepts and the way they were told as stories. Q: What is the hardest thing about translating from English into Kannada? How do you navigate words or phrases that are tricky to translate?? A: I think common sense quotient works here. It’s just about the concept as a whole and the way you narrate in your language. I think my profession has equally helped me in this regard. Wow! That’s an amazing feeling. I feel like a student who’s waiting for results. Q: Translating stories must have required research when it came to STEM related terms and concepts.. How did you explore new objects and concepts? Like I said, I refer to the latest curriculum related to STEM concepts. So, it clears my confusion and difficulty while translating too. My wish is that we reach almost every school in every nook and corner as a group till books reach the last child. I personally prefer print formats for this , as the feel of a book is sacred. Q: As a passionate teacher, story teller what do you think is the best way to approach a child? 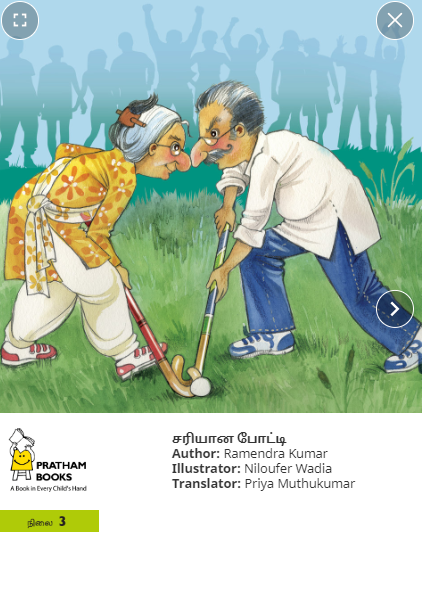 Be a child while translating, narrating. That’s all! !